Many people look apon those who dwell within the Sundered lands with scorn, the Elves of blood and Flame dwarves but they are a hearty people who keep to themselves and deserve respect. 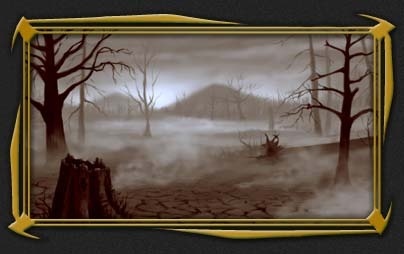 The Sundered lands are of course the wasteland of fire and ash that exist between North-Fend and the Daemonic area known as Oblivion, it acts an impenetrable buffer zone of death and decay between the two differing areas. Who otherwise would with no doubt be at odds and ends invading one another for territory and thralls. Yes the sundered lands of Nactor are a dangerous place full of beasts of great evil aswell as beasts of surprising benevolence from the Atronachs to the Undead hordes to the Wights and Phoenix. It is truely one of the worlds most mysterious areas, what secrets hide deep within the wasteland no one knows but the history is clear. It wasn't always a wasteland but once the great capital of a dwarven and elven kingdom apon the time the two were powerful players in the area. But rumor has it one day the high mages and machninists of the Kings court invented something dangerously wrong in an attempt to mock life and this destroyed the area sending out a wave of fire burning and twisting all in its path. Whether this is true or not.. Only the Dwarves and Elves of the wasteland can say..